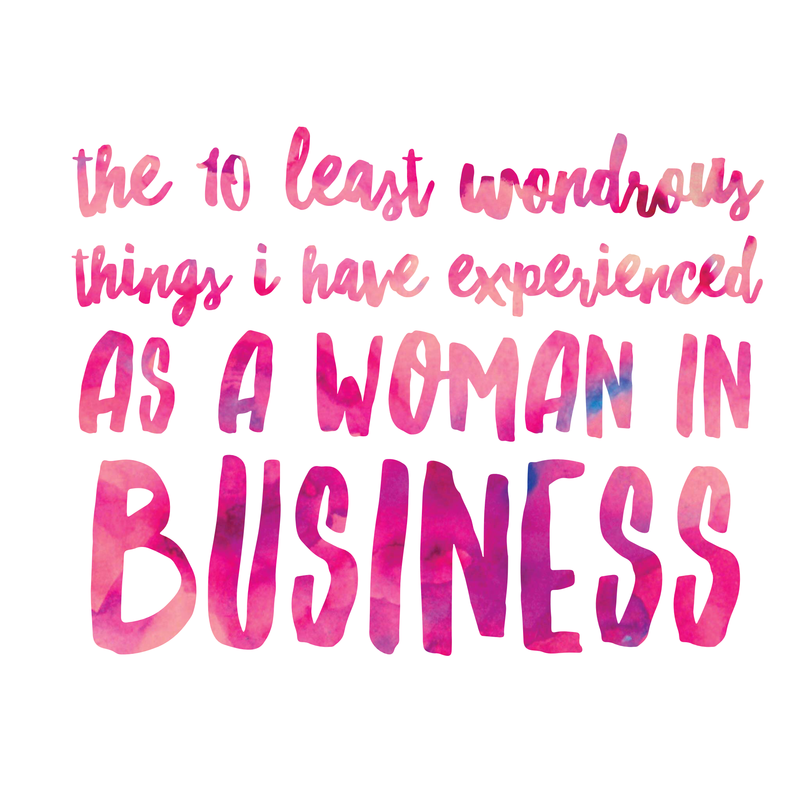 The 10 least wondrous things I have experienced as a woman in Business. I shared this article on Linkedin a few weeks ago and have been absolutely blown away by the engagement and interaction I have had as a result. It is both wonderful and frightening to be able to bond with so many people who have had similar experiences. Why wonderful? Because it means that I’m not alone (selfish), why frightening? Because we need to do something about it. Ever realise something is happening even though you wish it wasn’t? I had that experience yesterday when I read this article – Australian women at work: underpaid, discriminated against and told to be ‘more confident‘ Research released before International Women’s Day shows senior female managers earn, on average, $93,000 less than their male equivalents. Gah! This is so infuriating! 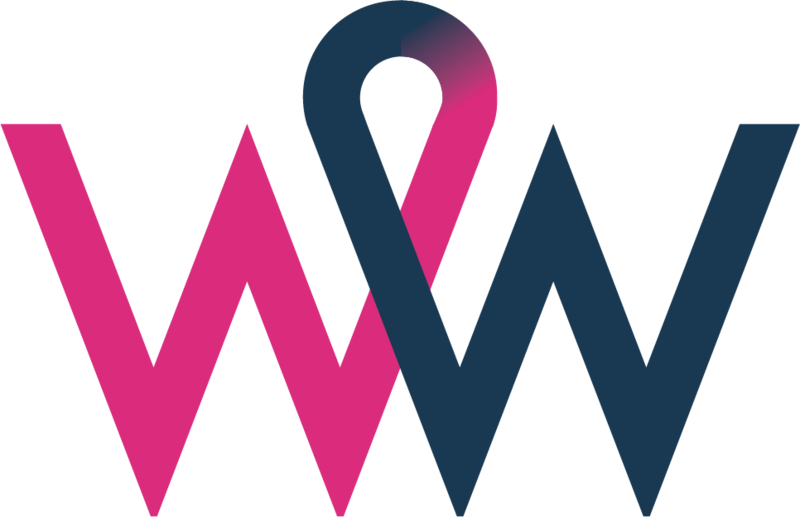 I am so energised by focussing on all of the wonder and positive things happening in Australia, but sometimes, we have to look at some of the bad stuff to learn and grow and create sustainable change… like the quality of the feedback we are providing young women in business. “I don’t think we have a position for a dolly bird like you”, “You’re too confident”, “Perhaps you could change your attire to gain more credibility” – this is actual feedback provided to me over the years – I chose to ignore it all, thankfully my best managers believed in me, encouraged me, promoted me and didn’t try and change me. For me equality and the pay gap are the most infuriating issues in corporate Australia today – I can’t imagine how angry I would be if someone paid my daughters less than anyone else doing the same job to the same level of quality….. then I realise how many years I actually tolerated this for myself! Whoops! Time to close the gap. Those of you who know me know that I am exceptionally positive. I am not a victim and you’ll rarely hear me utter anything negative. In fact it is actually difficult for me to share this because I have consciously chosen to role model positivity, possibilities and wonder and I do not like to make others feel uncomfortable, However in the spirit of shedding some light on the issue I am going to share with you the 10 most offensive things I have experienced as a woman in business and how that made me feel. The major problem as a young woman starting out in business, was that amidst all of the feedback I was trying to understand how to behave, how to produce the right outcomes, how to get ahead – all of this polarising commentary was not helping. Some of it was down right hurtful; but god forbid I react, be dramatic, get emotional, or cry, nope, I took it on the chin, I tried my best to evolve, I obsessed with self development and improvement and eventually I found my most authentic self: I am proudly a passionate and vulnerable, authentic, caring, inclusive, warm, positive and loving human. I am consistent and I care. I am effervescent, I drive outcomes, I wear heels, I love getting my hair and nails done, I work harder than most people you know and you’ll rarely catch me without lipstick. I love being a woman and I love work. I love being a Mum and I am role modelling flexibility. I love creating sustainable and meaningful change. I read hundreds of books every year. I am obsessed with learning, understanding, growing, changing, transforming. I am comfortable with ambiguity and rapid change. 1. “I don’t think we have a position for a Dolly bird like you” – I was 21 and had just graduated from a Bachelor of Business HR and Psychology at Monash University with a credit average. I was being interviewed by an elderly man and was really excited about the opportunity. He didn’t take me seriously (at all) and proceeded to end the interview with the above statement, Oh and FYI ‘dolly bird’ means – a young woman who is thought of as attractive but not very intelligent. I went home feeling deflated, worthless and incapable. 2. “Sarah unfortunately you have to move teams because your manager is uncomfortable managing you” – Again I was very young and while incredibly emotionally intelligent, this one left me really confused, hurt and embarrassed – what had I done wrong? Why was my manager uncomfortable? Shame, guilt, vulnerability – it was really hard. I had to turn up to work every day and avoid eye contact because I didn’t know what I had done to provoke the change. I moved on shortly after this because I wasn’t provided with enough constructive criticism to understand what changes they expected from me. 3. “It might help if you move to an entry level role (2 levels down) in another BU to gain credibility.” – Ok this just infuriated me. It didn’t even feel like it came from a good place! Sorry, what about taking a demotion will help me gain credibility? Doesn’t my perfect performance review and impeccable track record of delivery, let alone my Bachelor degree and positive can do attitude help me gain credibility? No thank you, I’d rather not take a pay reduction to help people see my value! 4. “Perhaps you could change your attire to gain more credibility.” – At this stage I was beginning to see a theme, why do people think I don’t have credibility? Why is it that the men in my team who don’t have the same credentials or experience as I do get all the recognition? Why is it that I produce outstanding results but keep getting given feedback on improving my credibility? Don’t results speak for themselves? Oh and are we really going to talk about my attire??? Hello, I always try to look amazing and proudly so. 5. “It makes some people feel uncomfortable when you hug people in the office” – OK, I’m a hugger. I’m a big softy and I care. I’m also exceptionally emotionally intelligent and would never touch someone without their permission (no harassment claims here), I’m not a troll watching my phone for hourly hug time (parents of kids obsessed with TROLLS movie, you will get this reference) – but if someone is upset, or needs a hug, I definitely have a ‘willing to hug’ policy. 6. “It may help if you tone down the lipstick” – I was really confused by this. I had reached out to a trusted mentor to ask for feedback as to how I could help move into a more senior leadership role and this is the feedback he gave me. Help what sorry? Help me get a promotion? Help me produce higher quality outcomes? Help me dry my lips out? Help me create more sustainable cultural change? Please elaborate. 7. “Sometimes you come across as too confident” – to which I asked, “does this mean I am over promising or under delivering? Is there a problem with the quality of my work?” – “No, the quality of your work is outstanding” – Ok, so what is the feedback then? The whole ‘too confident’ thing is really confusing. I have worked my whole life to battle self esteem issues. I have overcome depression, anxiety and a whole lot of self loathing and then I get told I am too confident? Gah, it is exhausting. I’m just trying to be happy and productive and add value! 8. “You just need to be more confident” – I had asked what I needed to do to be considered for a pay rise. This was the response. oh ok, didn’t you say that I was too confident? I’m confused. Who am I? How am I supposed to behave? I just want to do great work and be paid fairly for it! 9. “We have had some complaints, that baby needs to go” – I won’t even start on the comments I have received as a working mum, there are too many and they are too offensive. This one was good though – I took Sienna to work with me when she was 18 months old, just for an hour as she was sent home from daycare shortly after I dropped her with a runny nose and I wanted to collect some things from work before working from home while she slept later that day. She was quietly drawing a picture on the floor when someone from the HR team approached me and told me that unfortunately there had been some complaints that there was a baby in the office and the baby needed to go. Sienna hadn’t made a sound, no crying, just a little cooing and laughing. I was shocked. It was 2014 and I was being asked to leave the office because the baby shouldn’t be there. Wow. I shrank into a shell for a moment and then gathered my baby, my laptop and quietly slumped out to work from home. Fast forward to 2016 however and Stella (aka Business Baby) attended meetings from the boardroom to the stage – a wonderful sign that humans are becoming more inclusive! 10. “You’ll be having children soon, so maybe don’t apply for that role” – Hello mr recruitment consultant, I’m not sure if my ovaries have a visible clock available for you to see, this is literally none of your business – but FYI you may like to see my ‘reverse maternity leave post’ – your fixed mindset meant you missed out on the right person… Yes women have babies, but that doesn’t mean they can’t be considered for roles. It is a baby, not a lobotomy. Unfortunately, whilst writing this post, I had dozens more bubble up from the past. Feedback, comments, experiences that are pretty hurtful and discouraging. It turns out that I have become strong and resilient and capable of brushing off so much – but just because I have, doesn’t make it ok. Women are being told a load of rubbish, as the article above mentions ““We found that women are twice as likely as men to receive feedback indicating they need to show ‘more confidence’ to be ready for promotion,” say the authors of the Advancing Women in Australia: Eliminating Bias in Feedback and Promotions report. “Women in this situation also face a double bind in which they are often criticised for coming across as too assertive, as this goes against ingrained feminine stereotypical behaviours.“Executive female respondents had been told to ‘toughen up’, ‘be more likeable at the expense of efficiency’ and ‘temper [their] enthusiasm’.” – yep, it is all pretty confusing! So, my ask of all of you – is to really sharpen up your communication skills when it comes to providing feedback, to be genuinely fair and equitable. To provide valuable feedback, before you say anything… Think: Is it helpful? Is it fair? Would I say this to a man or woman? Will this help them improve the quality of their work? Will this create a better work culture? Will this help us produce better outcomes/get closer to target? Prev Think like everybody is listening. Next The truth about working from home.